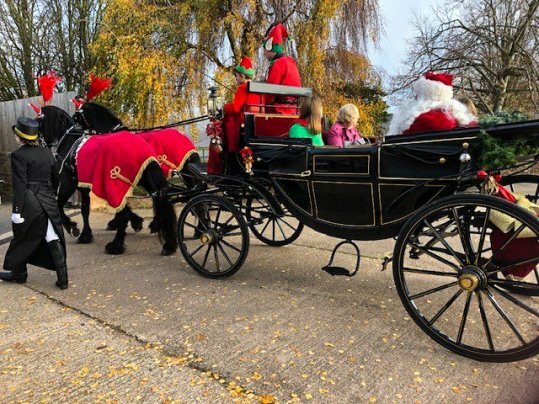 We’ve been gearing up for the festive season ahead at our Nottingham showsite, where the magical festivities are underway. Santa has already arrived, paying a visit on the 18th of November and staying right through to Christmas Eve, giving you and your family plenty of opportunity to visit him at the Notcutts Garden Centre. One of our experts at the centre, Jean, even captured some pictures of the magical procession. Pay a visit to Santa in his grotto which even allows dogs on specified dates or enjoy breakfast and tea with the main man himself along with his elves! A festive menu is available in onsite restaurants from the 19th November, and there is an abundance of Christmas shopping opportunities. 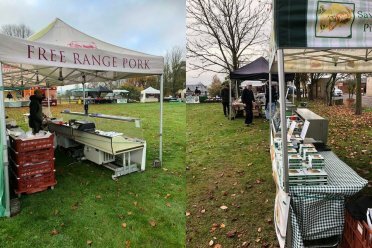 On selected Sunday's there is also a farmer's market onsite, where scrumptious offerings and local produce are available, also photographed this week by Jean at the centre. While you’re enjoying making magical memories, don’t forget to visit us on site, where you will find up to 25 different display buildings and a team of friendly advisors on hand to help. You could be purchasing the Christmas gift of someone’s dreams, or perhaps giving your garden a new lease of life with a building you can enjoy all-year round. For more information about the Christmas events and where to book, click here.